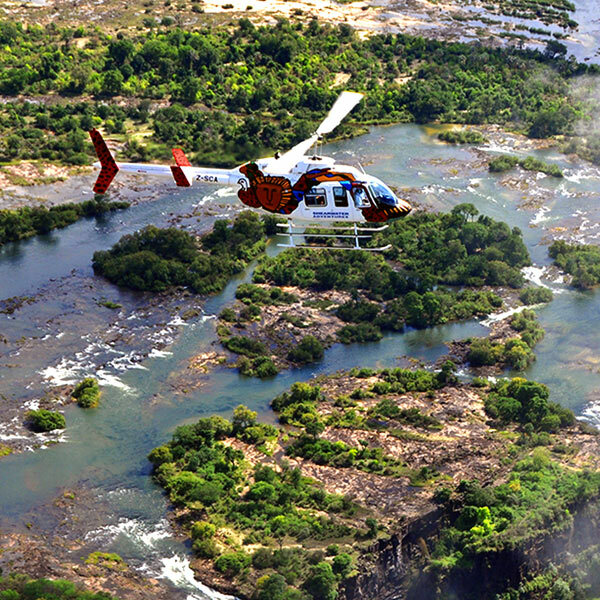 Welcome to The Kingdom Hotel in Victoria Falls Zimbabwe. You may be forgiven for thinking that you have stepped back in time. 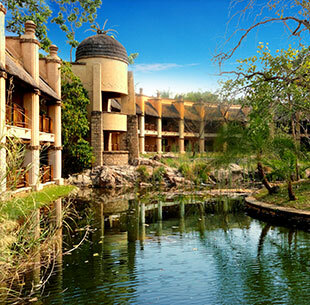 The great domes, pillars and bridges over the many water features at The Kingdom Hotel resemble the style of " Great Zimbabwe ", the once mighty capital of the ancient Shona Kingdom. It may look like the city of a lost civilisation but the Kingdom Hotel is one of Victoria Falls best known family hotels. 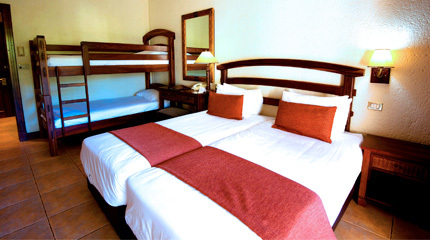 Expect all the comforts of a modern resort geared up in every way for your maximum comfort and enjoyment. 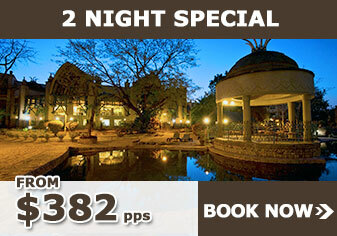 The Kingdom Hotel has become a firm favourite with families, groups and individual travellers who are looking for a quality yet affordable Victoria Falls Hotel option. 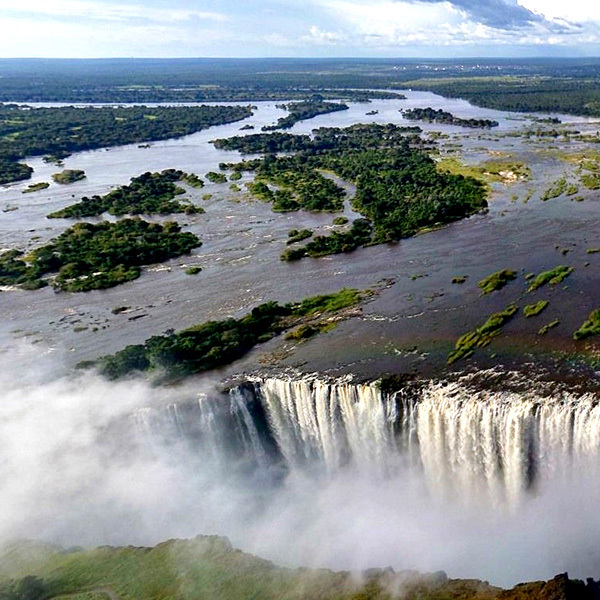 The hotel is centrally located within the small resort town of Victoria Falls, Zimbabwe, close to all the major attractions including the entrance to the Victoria Falls rainforest which is a short walk away.